We are very proud to introduce this absolutely gorgeous Shalimar Round Side Table. It has a spectacular design that looks very unique, it's inspired by an art-deco style that looks extremely eye-catching. 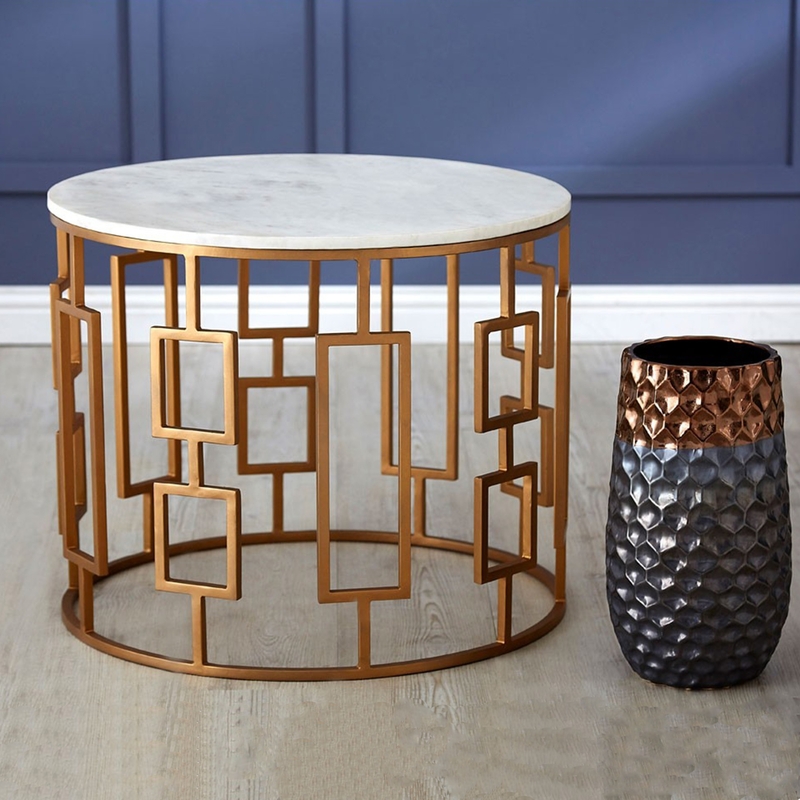 This Side Table is created from a white marble and golden iron which combine wonderfully into an elegant piece.